Yesterday, we saw Spider-Man making a break from high school and today, we get to see him hanging out in the back of a truck, presumably needing to get somewhere quicker than his webshooters will allow him to swing. 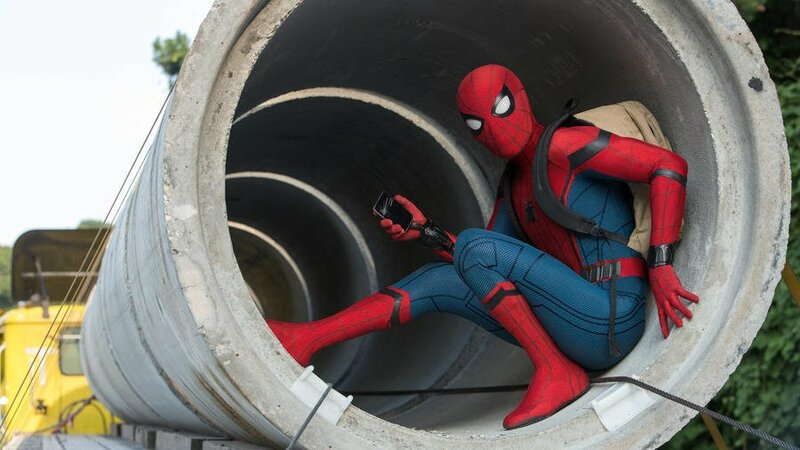 At first glance, it seems a strange choice of Spider-Man: Homecoming promo shot, considering that previous ones have seen him in all kinds of dynamic poses. But look a bit closer and we can see all sorts of little details that make this image worthwhile. My favourite is that his smartphone has a cracked screen, because of course Spider-Man wouldn’t be able to keep a phone intact for long. It also contributes to the idea that he’s not the richest guy in the world. We know his high-tech superhero suit is on loan from Stark Industries, but everything on the edges of it looks a little second hand, from the frayed backpack to his couple of generations old, beaten up phone. And, course, he can’t drive, so he’s stuck hitching rides. Cheery images like this are a good omen for the production, which looks to be jettisoning some of the tears n’ hugs emotional drama that bogged down Sam Raimi’s catastrophically dull third instalment and huge portions of the YA influenced Amazing Spider-Man films. I’m not saying Spider-Man should be all sunshine and roses because, y’know, Uncle Ben n’ all, but the bright blue skies, poppin’ crimson costume and supremely chilled out posters make a promise of good times that I hope they’re going to keep. With rights holders Sony rumored to be getting cold feet about Spidey’s further participation in the MCU, Spider-Man: Homecoming might be one of the few times we see the web-slinger rubbing shoulders with Tony Stark, so let’s hope they make it a damn good movie. Spider-Man: Homecoming swings into cinemas on July 7th.